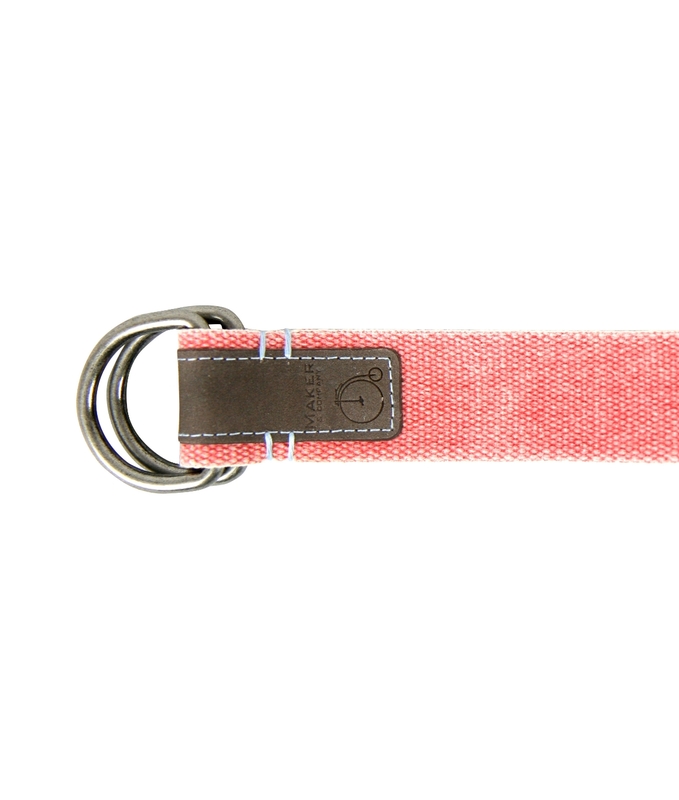 This distressed cotton belt by Maker & Company is a great addition to any casual look. 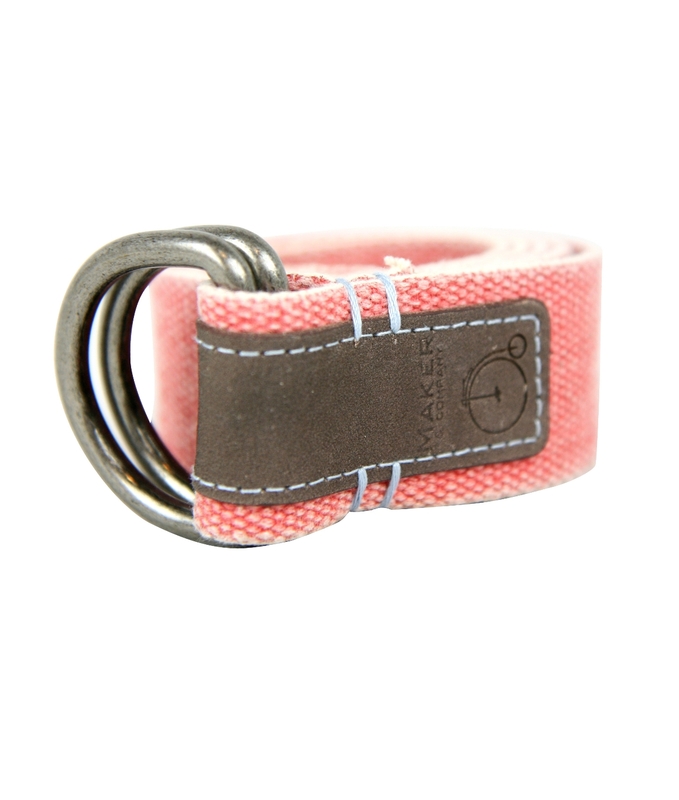 Has a silver tone D-ring buckle and measures approximately 1.5 inches wide. Created by a founder of the Tailorbyrd brand, Maker & Company specializes in traditionally-inspired men's sportswear and sweaters.